For a start, London takes the crown as the number one European city for digital entrepreneurs. Investment in tech is also gathering pace as investors are realizing that London is an excellent gateway to the global market. In fact, government-funded nonprofit London & Partners revealed that VCs have invested a total of £1.1bn in London's tech firms for the first half of 2017. What else can the world expect from London's tech scene? Quick fact: The UK’s digital tech sector grew 50 percent faster than the entire country's economy in 2015, according to government-supported Tech City UK’s 2017 Tech Nation report. For tech startups, this means countless opportunities to create, innovate, and expand. New tech businesses are also creating jobs, generating wealth, and supporting the wider economy. So how do you find these opportunities for your tech startup in London? You stay ahead of the game by identifying the top tech trends in the area to see how the landscape is shifting and the tech scene is evolving. It looks like the government’s efforts to lower the barriers for new businesses to get started is bearing fruit. Last year, new startups were registered at a rate of 80 per hour in the country. In London, there were 500 startups for every 1,000 residents. Tech-focused British startups have more than doubled in number since the Brexit vote last year. City A.M. technology editor Lynsey Barber reports that there are more tech startups in the UK who went public (or were acquired) than in any other country in the world besides the US at the start of 2016. Not to mention, more than a third of Europe's tech unicorns are based in the British capital. In 2016, Blippar, the augmented reality startup and RocketSpace Alum, joined the ranks of Shazam, Rightmove, and Funding Circle. Meanwhile, FinTech startups Algomi, iwoca, eToro, and Transferwise continue to disrupt the financial industry. Universities are indispensable building blocks of booming tech ecosystems. The good news is that four of the top five universities in Europe are located in the UK, two of which call London their home: Imperial College London (ICL) and University College London (UCL). In QS World University Rankings' 2017 Top Computer Science Schools, four British universities made the Top 20 list: University of Cambridge, University of Oxford, Imperial College London, and University of Edinburgh. In addition, recent figures indicate that UK universities are becoming smarter when it comes to licensing intellectual property (IP). For example, the Higher Education Funding Council for England reported that UK universities are increasingly drawing income from IP, rising by 18.5 percent year on year. It's also worth noting that UCL launched their £50 million technology investment fund for intellectual property investment in January of last year. This means schools are serious about developing their own technologies, in which startups can take advantage as well. It is no secret that London currently houses 156 coworking spaces and innovation hubs. The flexibility of these coworking communities is a godsend for tech teams looking to build a company minus the commitment to long-term rental agreements. The rise of tech-focused coworking options has also given the tech sector a serious boost. In fact, when digital tech businesses across the UK were surveyed about which aspects of their local ecosystem are the most useful to them, the top three responses were: mentoring, brand-building activities, and coworking spaces. For tech founders, finding a space dedicated to tech is a must. Why does it have to be tech-centric? Being in close proximity to other founders and entrepreneurs allows you to bounce ideas around, get feedback, and maybe even find a potential partner or customer. You get all of these by joining curated communities for tech-focused products and companies. Additionally, VCs are likely to be involved in tech campus happenings, making warm introductions easier. 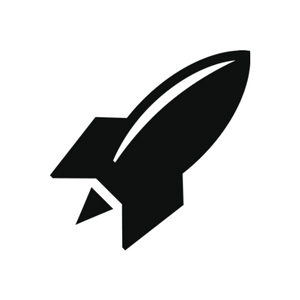 RocketSpace tech campus recently opened its London doors at Angel Tube Station last June. The London tech campus exclusively admits Seed to Series C funded startups with MVPs ensuring an exclusive community of innovation and growth. 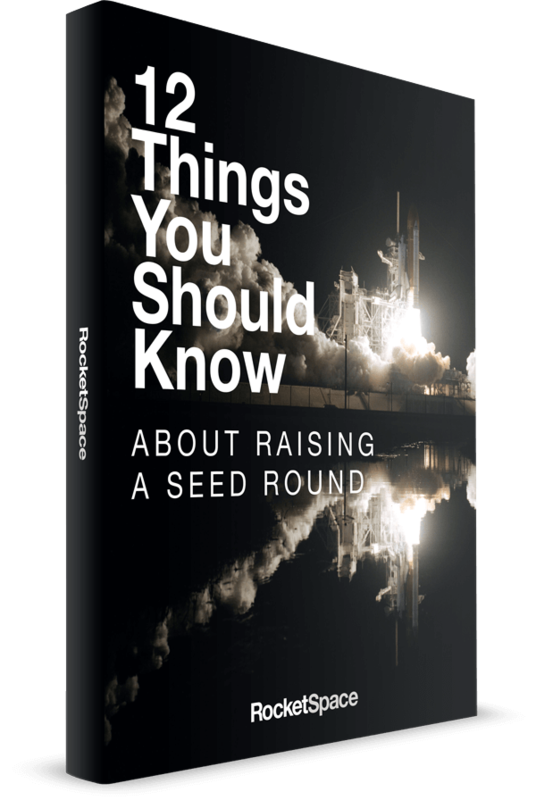 "At RocketSpace, you have this tremendous resource in other founders who are going through the same things as you are. You also have access to talks with really impressive people such as the CMO of Slack or the founder of Trulia, and exposure to all of these potential clients through RocketSpace’s Corporate Innovation Services. The infrastructure is great too. The team is super friendly and was so flexible in helping us expand into larger offices as our team grew. RocketSpace just feels like home for us”. Members of RocketSpace's London location enjoy the same level of support and amenities as San Francisco members, including access to more than 170 corporate partnerships and exclusive connections to key investors, mentors, and advisors. Interested in learning more about RocketSpace's tech campus? Request a tour and come visit. Top caliber talent is necessary for every leading tech startup. Fortunately, London attracts and nurtures some of the best and the brightest in tech. The UK currently holds the number one spot as a destination for international tech talent — from both outside and inside Europe. Secondly, many European startupers prefer to live in London over other top tech hubs, according to Rise High’s London Startup Worker Trends for 2016. Meanwhile, Tech City UK's annual report Tech Nation 2017 revealed that London has almost twice as many Github users as Paris or Berlin. Plus, the city hosts three times more meetups than any other European city. FinTech may be dominating the UK for now, but AI is catching up. TechWorld’s Scott Carey reports that four of the biggest AI startup acquisitions of the last five years were UK-based startups. It began with Google's purchase of deep learning startup Deep Mind in 2014. Apple followed suit and acquired Cambridge-based natural language processing specialists VocalIQ. Microsoft eventually got Swiftkey (machine learning powered keyboard), while Twitter bought machine learning startup Magic Pony for a whopping $150m. "New interfaces - such a voice, audio and messaging - will become far more mainstream. Today, the vast majority of human-computer interaction is still done on screen. The new interfaces will become a part of everyday life for all users, not just early adopters. This is a result of the vast amount of data that is now being collected, structured and analysed by machines - the results of which are being delivered via conversational interfaces." AI, machine learning, and connected devices are clearly here to stay. With London’s emergence as an epicenter of global tech, don't be surprised if the next big thing in AI is London-based. Tech founders and entrepreneurs from all over the world flock into London mainly because of the government’s all-out support for tech businesses — from generous tax breaks to relaxed visa rules for entrepreneurs. Plus, you can't go wrong with the high caliber of tech talent with diverse cultural backgrounds and skill sets. Finally, tech-focused campuses like RocketSpace London offer startups an ecosystem that is tailored toward helping them build innovative products faster. If you're the founder of a tech startup with a minimum viable product (MVP), who is also looking to work in an environment of like-minded tech founders and entrepreneurs, head to RocketSpace London campus. Membership to London's newest tech coworking community means exclusive access to a variety of tech-centric amenities, events, and mentorships. Request a tour now!